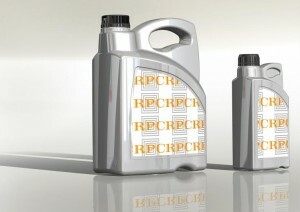 RPC Gent is proud to announce its new range, Lubripack. Innovative and user-friendly, and with measurements that equal the existing Autopack II range, the new design has an upscale, modern appearance that will appeal to different market segments besides the traditional automotive. It has been created after an in-depth market research programme, in response to customer needs. The design takes into account current trends for high on-shelf visibility with a large labelling area, so the new addition allows the incorporation of eye-catching layouts or graphics. The new range will be available in 1L and 5L sizes during introduction but other capacities such as 2L and 4L will follow. The 1L will weigh 55g and the 5L will weigh 180g. And the Lubripack range will be available in colours such as black, light grey, graphite grey or even in customised colours, depending on order size.